Breakers mark the bar at the mouth of Raglan Harbour, overlooked by the bush-clad Mt Karioi. The harbour is 13 kilometres long and has two arms. Its Māori name, Whāingaroa, means ‘the long pursuit’ and refers to the lengthy search of the Tainui waka (canoe) for a final destination. 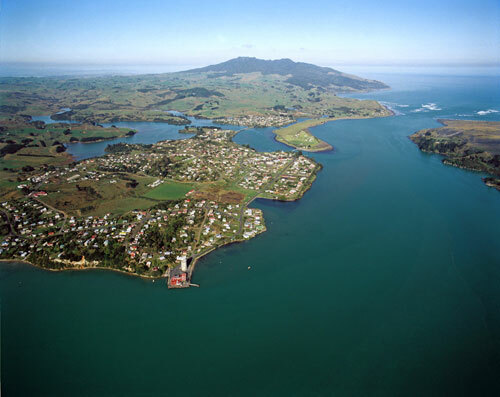 The waka eventually made landfall at Kāwhia Harbour, further to the south.